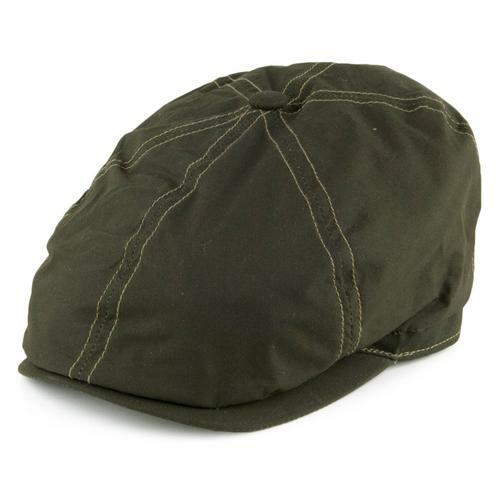 Failsworth men's Retro Donegal herringbone Gatsby Spitfire cap in green. The bold oversize herringbone wool panels are inundated with a colourful Donegal fleck detail. 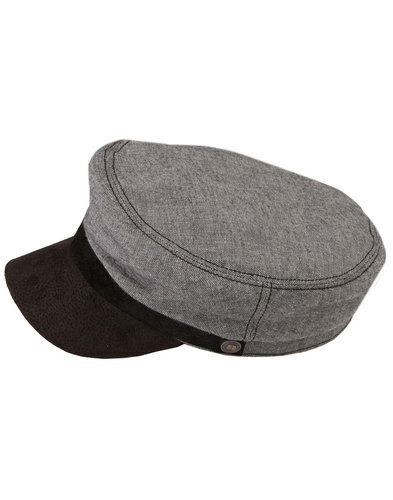 The concealed peak and covered button crown add to the Peaky Blinder's and Jay Gatsby Roaring 1920's style. The classic 8 panel spitfire hat, crafted from 100% wool. 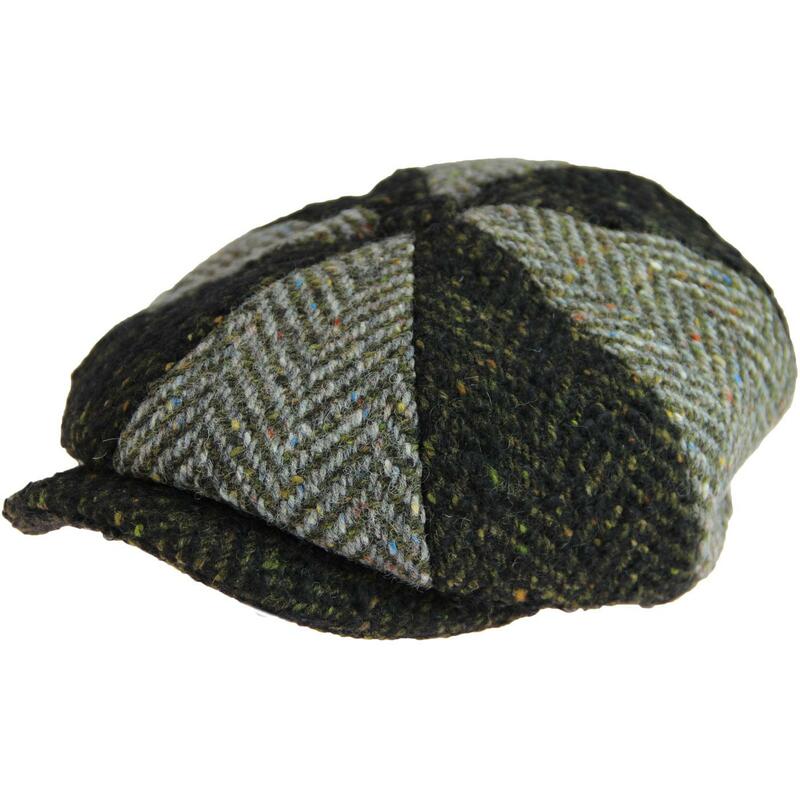 The perfect retro accessory for finishing off your smart 1960s mod suited and booted look. 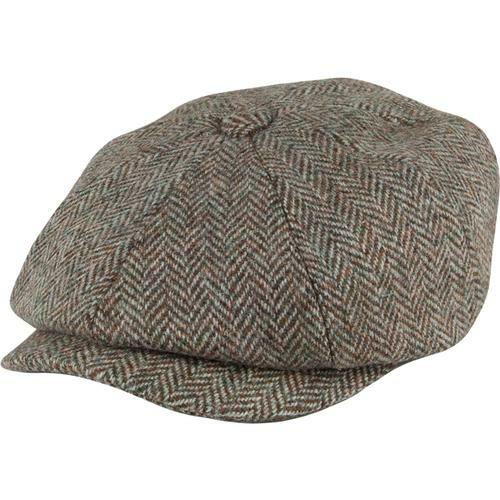 The Failsworth Donegal Spitfire cap also looks great teamed with dress coat for that vintage 1950s Teddy Boy style. 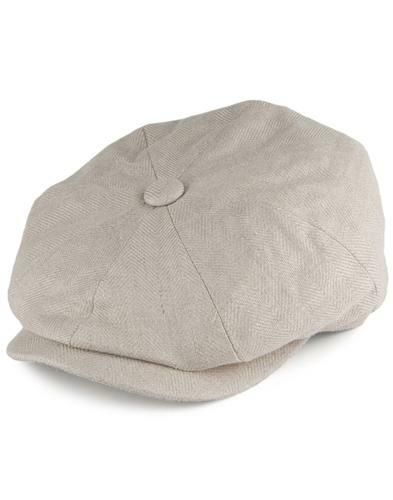 Failsworth 8 panel Newsboy Spitfire Cap. Donegal fleck herringbone wool fabric.